Built for distance and comfort. Unmatched comfort and space allows passengers to move about the cabin freely, arriving refreshed and relaxed at their destination. 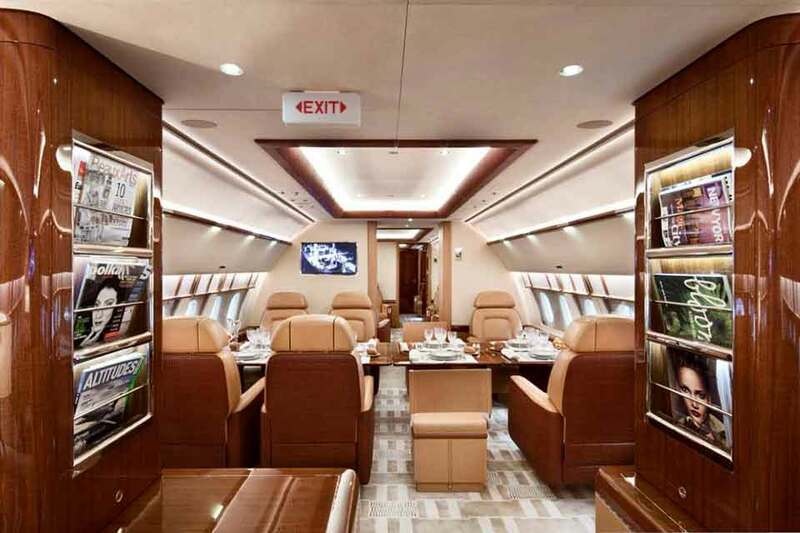 Offering the widest and tallest cabin in the business jet market, the Airbus ACJ319 open-plan luxury cabin by the award-winning Alberto Pinto provides the ultimate in comfort and amenities for up to 19 passengers. 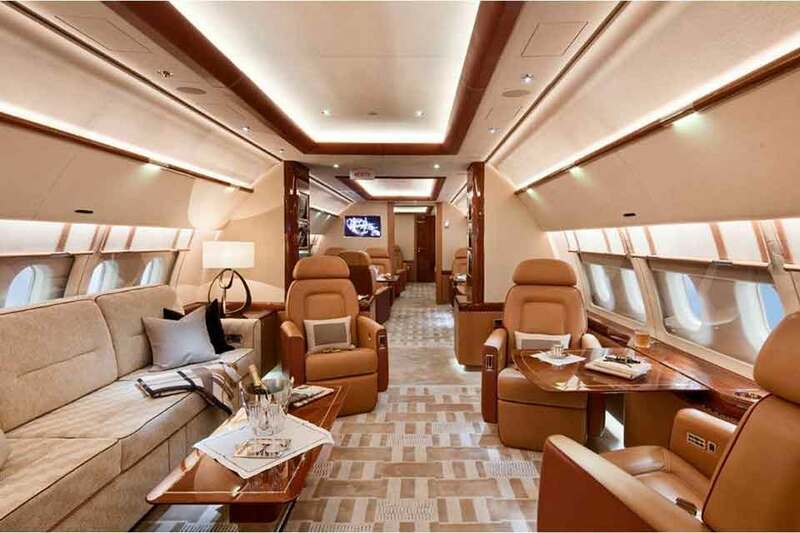 Designed with understated French flair, the aircraft has the ambience of a private club or boutique hotel and evokes a sense of well-being. The selection of furnishings, fabrics and fittings in a colour palette of warm beiges and creams provide a comfortable and relaxing atmosphere that will make you feel immediately at home. Whether travelling for business or for pleasure, our aircraft has all the facilities you could require. The 19-seat cabin features an open-plan forward lounge and an intimate rear lounge, separated by a mid-cabin conference / dining area. 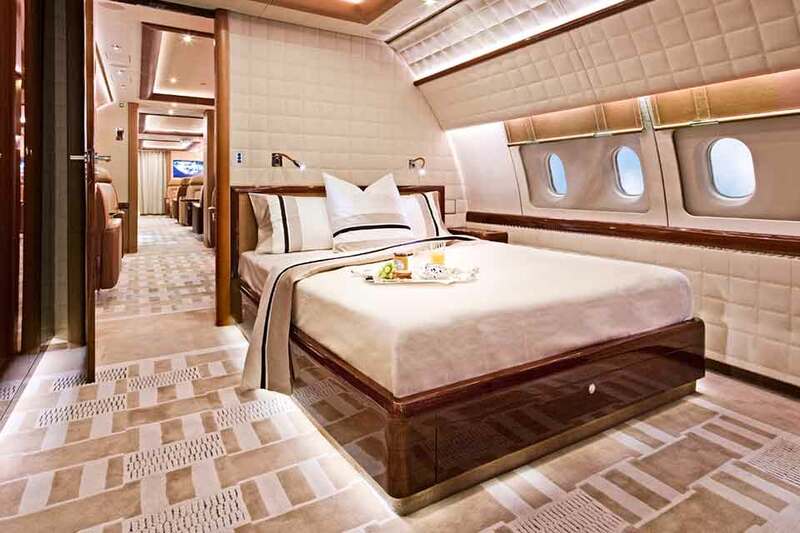 Through the versatility of our cabin design and without compromising the interior space, the rear of the aircraft has been maximised to feature a spacious private master bedroom with a king-size bed, as well as a luxurious en-suite bathroom featuring a large rectangular shower, one of the first to be installed in an ACJ. The atmosphere is enhanced by mood lighting and touch-screen controls linking the integrated state-of-the-art communications and entertainment technology. 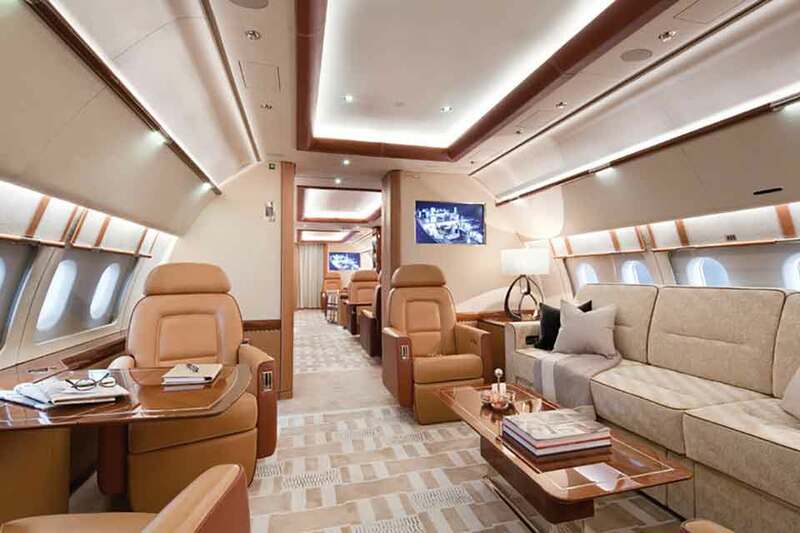 With a cabin over three times the size of the Gulfstream G650 and a strong focus on cabin sound proofing, reducing external noise to under 50db. Whether travelling for business or for pleasure, from the moment you join us on board you can expect an unrivalled experience. The Airbus ACJ319 full scale galley enables our cabin crew to offer freshly prepared meals in flight. Whether you prefer an intimate dinner or want to entertain guests with a banquet-style buffet, our Michelin star chef-created menus guarantee that the finest, locally sourced ingredients are used to prepare your gourmet meals to your requirements. For the business traveller, our mid-cabin living space can convert into a conference table to hold your important meetings. Our fully equipped office allows you to stay connected through the latest Wi-Fi enabled satellite internet service, Satphone, printer and fax. 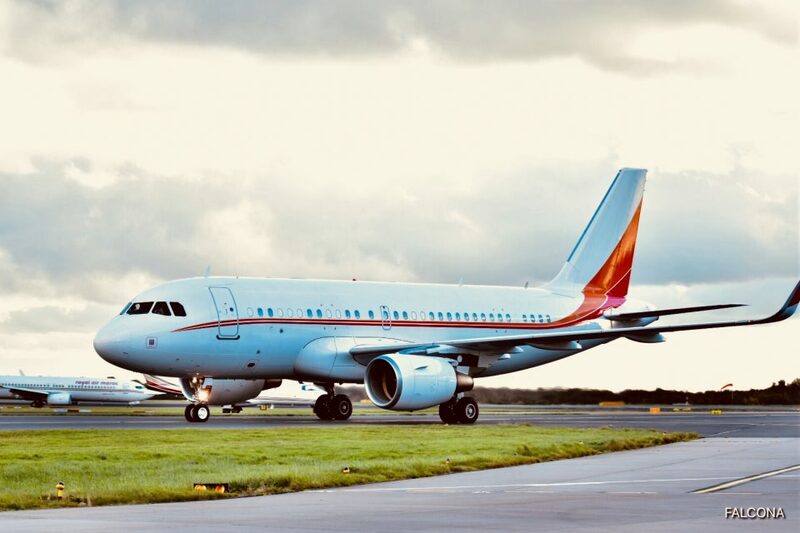 For more relaxing trips, our state-of-the-art Skybox media entertainment system offers an extensive library of blockbuster and classic movies and a selection of music albums through our on board iPad system or through our 32 and 42 inch cabin widescreens with Dolby surround sound. 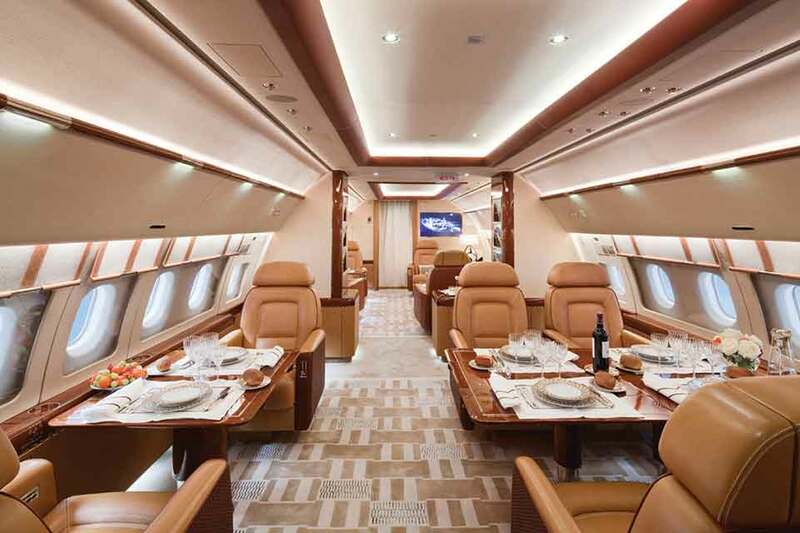 Built for distance as well as comfort, the Airbus ACJ319 has an impressive 10 hour non-stop range, making us ideally positioned to service longer distance flights to North and South America, the Far East as well as flights within Europe and the Middle East.